The Social Fresh EAST social media conference, took place April 18-19, 2013 with a sold-out crowd of marketers. Selling out a major conference while increasing ticket prices is no easy challenge. But, Facebook advertising significantly helped us accomplish this goal. One of the biggest critiques of social media marketing is that it can’t drive sales. While social networks like Facebook work with vendors such as Expion to connect the dots, top marketers are using social strategies and tactics to drive results, both online and offline. A few months before the conference, Social Fresh founder Jason Keath asked me to lead a Facebook ad campaign push for Social Fresh EAST 2013. Here’s a behind the scenes look at what we did to sell out the event. The content used in the posts included four image posts (modified photos of speakers with overlaid quotations), one a video testimonial, one link to a Facebook Event, and one a Facebook Offer. Here is one of the images we used in the ads, featuring a quote from speaker Jay Baer. You can scan the Social Fresh Facebook page for other posts we ran as ads during March and April 2013. We launched the campaign March 11, 2013. Over the following month, more than 30,000 targeted users saw an average of seven post ads in their News feeds. The ads ran across 127 audience variations and referred more than 1,000 unique visitors to the conference landing page. Without getting too detailed on the dollar numbers involved. The ad budget was less than $5,000 and generated a return of over 500% on that investment. If you focus entirely on the top metric of Registrations, then you’ll overlook the gains of other categories. The trick is quantifying the value of each metric to your specific campaign. I recommend ranking them on a 1-10 point scale, with 10 the best and 1 the least. In this case, we’ll say that Registrations are worth 8 points, Page Likes are 4 points and Post Shares are 3 points. Simply put, we consider Registrations worth twice as much as Page Likes and almost three times as much as Post Shares. Multiply each figure times its point value and you end up with a point total for each ad. Under this rundown, Ad 1 would be worth 461 points and Ad 2 worth 878 points. Ad 2 is worth nearly twice as much to this example campaign as Ad 1, yet you may have overlooked it by merely focusing on the number of registrations. Before you start running your ads, make sure you’ve implemented and tested multiple tracking mechanisms. Whenever possible, don’t rely on a single set of numbers. Tracking platforms are not perfect and plenty of bugs exist – for example, Facebook rarely registers similar data for Link Clicks and Link Opens in the Ad Reports. Also, Google mis-allocates most iPhone user traffic (I’ve seen as much as 90%) referred from Facebook as Direct. Cover your bases and you’ll be less likely to fall victim to a faulty set of numbers that could hamper your entire campaign. Use bit.ly custom links or tag your own links with Google UTM parameters. Bit.ly provides another measure of click volume, while UTM parameters helps to correctly identify traffic sources in Google Analytics. Add a Facebook Conversion Pixel on the most important page of your website, typically the after-purchase Thank You page. The pixel will help track whether users who saw your Facebook Ad (regardless of click activity) made it to that important page on your website, hopefully following a purchase. It’s one thing for a prospective customer to see a brand touting the greatness of their product or service in the Facebook News feed. It’s another to see raving endorsements of that product or service by people similar to the prospective customer. 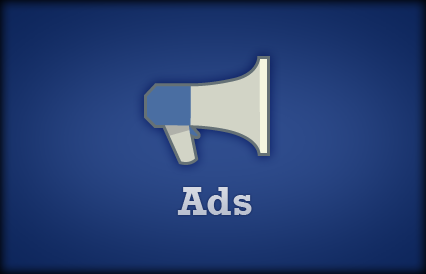 Try initially targeting placement of a Facebook post ad in the news feeds of top supporters and advocates. Collect great endorsements of whatever was featured in the post, then shift gears to target that post AND the corresponding positive comments to potential customers. A few raving reviews go a long way toward building credibility. Select the “friends are already connected” option when setting up your page post ads. Feature raving reviews to a social endorsement of the Page by a friend and you’ve got the magic mixture of marketing trust. If you’ve got all the time in the world to launch your campaign, then you can develop small sample test groups and inch your way toward success. Unfortunately, most of us in the real world don’t have that kind of time on our hands. When you’ve got to produce results fast, create hundreds of ad variations to quickly optimize your campaign. A strong set of initial variables includes location, interest and device. Once the ads are developed, loaded (we use the Facebook Power Editor to scale efficiently) and running, heavily monitor results for the first hours. Evaluate the cost per metric on each ad, pause the ads that don’t produce scalable results and low costs, and reallocate budget where needed. Once you see what’s working, create similar ads and constantly optimize accordingly.